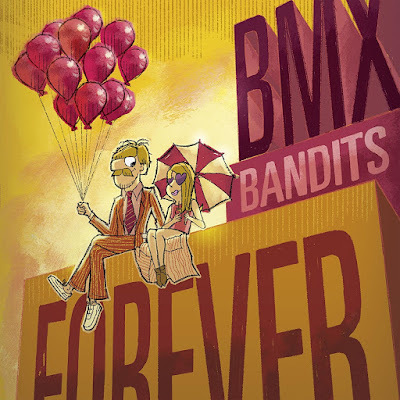 Discussions Magazine Music Blog: BMX BANDITS FOREVER review! For over three decades, BMX Bandits has been creating some of the most melodic, thoughtful Pop music of the Alt-Rock era. From their humble independent beginnings in Scotland during the C86 movement up through their albums on Creation Records in the ‘90s and beyond, Duglas T. Stewart and the boys & girls in the band have never steered away from their Pop purpose. Unafraid to show their humor and sensitive sides, the Bandits’ albums could go from whimsical to reflective without batting an eyelid. The Bandits have always managed to play with your emotions using plenty of charm and wit. While their albums have been pretty eclectic affairs over the years, the band’s revolving line-up (with Duglas being the only constant member) has continued to shine even if they weren’t always in the spotlight. And with at least nine albums and a few dozen singles behind them, BMX BANDITS FOREVER might be their most truthful and honest musical statement to date. On this album, band leader Duglas wears his heart on his sleeve and is unafraid to reveal his tender, lonely and confused sides. The melodies are sweet – often child-like – yet the overall feeling of loss on this album sets it apart from the band’s more buoyant catalog releases. While the album’s mood is predominantly sad, it isn’t depressing. In many ways, it is more haunting than anything else. On BMX BANDITS FOREVER, love is both the hero and the villain. Love has never sounded so dangerous AND desirable. This is not to say that the album is filled with sad songs. “Way Of The World” and “Love Me Until My Heart Stops” are catchy sing-alongs (both spotlight new Bandita Chloe Philip). “No Matter What You Say” (another track from Chloe) walks the thin line between sunny and sad. The brief “Life Without You” recalls the playful Bandits in happier days. “My Girl Midge” and “Saveoursmiles” are charming slices of perfect Pop. No longer occupying the same sonic space as friends/frequent collaborators Teenage Fanclub, Duglas and the band have slowly carved out a sound that is uniquely their own. I believe that a lot of credit must go to collaborator Stuart Kidd, who has helped shape this new direction. Recalling bands like The Magnetic Fields (their pre-major label years) and some of the more adventurous bands on Sarah Records (i.e. The Orchids), the BMX Bandits of 2017 are a more introspective lot. 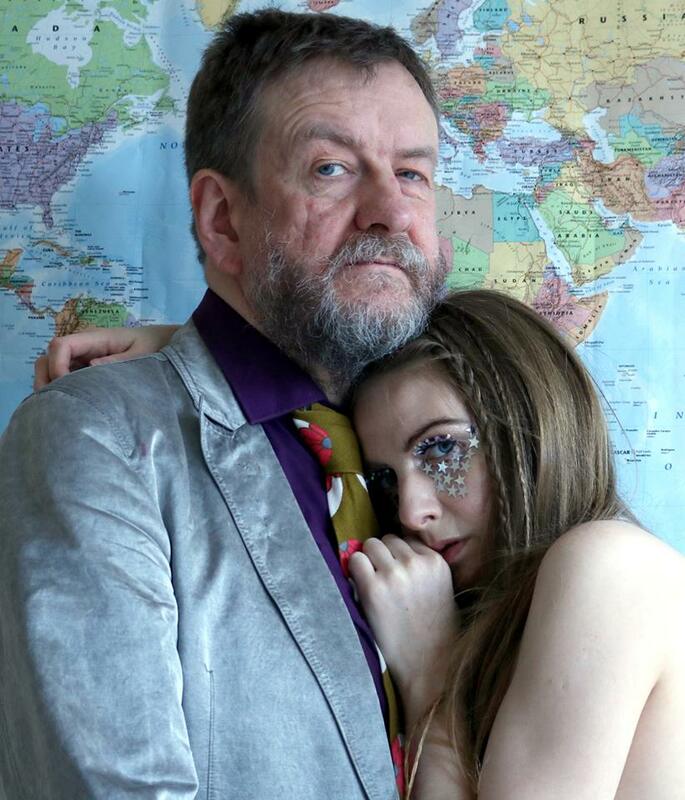 There are still plenty of Brian Wilson and Burt Bacharach influences in the music yet BMX BANDITS FOREVER adds new shades to the band’s ever-evolving sound. After 30+ years, Duglas still keeps things interesting. BMX Bandits forever, indeed!